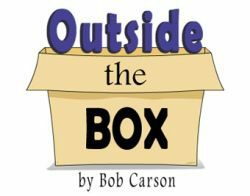 Editor’s Note: The USTA website is pleased to present freelance writer Bob Carson and his popular “Outside the Box” features. This monthly series is a menu of outlandish proposals presented with a wink — but the purpose behind them is serious. The views contained in this column are that of the author alone, and do not necessarily represent the opinions or views of the United States Trotting Association. Like fog, time slides past. Twenty years is the blink of an eye. It is hard to fathom that the Internet, a tool we now find indispensable, has yet to reach voting age. You can look up the ages of your favorite tech companies on Wikipedia (2001). You will find Google emerged in 1998 and became a public company in 2004. Amazon was still a river in 1997. Blogs emerged from the very first “weblogs” in the late 1990s, and Facebook, the social media behemoth, launched in 2004. In 1998, the United States Trotting Association launched this website. For many of us, the site has always been there. We have never been involved in this sport without the benefit of the internet and this website you are reading. The beeps and hisses from our 56K modems that led us into this new world were strange, but the wait for the final connection was worthwhile. When the strange noise stopped, we entered an amazing world. Our organization was early to the post and the site was a winner. Logging onto the USTA site was astonishing in itself, but a few years later viewing harness horse races on our computers was possible; truly a daily double. Do you remember viewing early harness races on your big desktop computer? Identifying your horse was like looking through a smoke-filled room, and the picture always froze at exactly the wrong moment in a race, leaving us to howl and frantically pound the keyboard — which usually made the situation worse. These early windows to racing may have been clunky, but they brought the races into our homes. While a frozen screen was a problem for those of us who rode in on cyberspace, a question occurs to us from time to time. How did those of you who are pre-internet participants even play our game? Be you a gambler, owner, breeder, or trainer, newbies question how you conceivably participated in this sport. Did you use letters, smoke signals, hieroglyphics, telegrams, or telephone calls? While it is easy to take technology for granted, it is also easy to take for granted the work our association does every day. Most of us are familiar with the regular digital paths when we log in — news stories, entries, results, breeding statistics, and conditions sheets. Writing this column led to a deep dive into the USTA site — the nooks and crannies, services, and links were a revelation. The USTA does not take technological innovation for granted. They constantly improve and redesign this website. For our sport, a thinking sport and a gambling sport, this data collection, distribution, and storage must continue to evolve. Today you can find a large amount of information about harness racing. However, for deep thinkers and serious players, there is no such thing as too much information. This may sound far fetched, but if the racing wager can shrink the odious takeout and make us an improved play, gamblers of the future will crave data such as wind direction, soil analysis, and blood chemistry of the horse the moment its hooves touch the racing surface. While this reliance on deep data seems mind boggling, what is mind boggling to many of us who arrived post-internet is that our sport existed with such a small geographic footprint. For any person who lived more than an hour or two from a racetrack, the sport of trotting and pacing horses may as well have taken place on Mars. The run of horse racing as the only gambling game in town was very fortuitous. Without this monopoly, why would anyone be interested in a sport that you could not even see, a sport where information was difficult to obtain, and a sport where the gambling revenue was limited to the racetrack premises? Twenty years ago, even the gambling transaction was different. Cash was the currency on the racetrack premises. Many new players have never stood in line at a racetrack window or used a dollar of cash to gamble on the races. The changes that arrived on cat’s feet have changed our harness world. Technology relentlessly marches onward. Who knows where the digital ride will take us? Yet surely among the fears should be hope and opportunity. Today, let us imagine a woman we call Jody. She lives in Rock City, Tenn. Jody loves horses. She has made a few wagers in Las Vegas while on vacation. She is very internet savvy. Jody knows absolutely nothing about our sport, but there was a tiny spark of interest, perhaps from a friend on social media, a relative at a reunion, or a post sent to her on Youtube. Jody decides to look into our sport. Prior to the internet, the spark of interest Jody noticed would have died. Post-internet, Jody has a chance to find us and keep the spark alive. The odds are strong that her first stop will be this site, a good stop with plenty of valuable information that is easy to navigate. She will find extremely helpful people available by cellphone or email. If Jody has the interest and if she is motivated, she can participate in every aspect of our sport from her cell phone in Rock City. Anyone can play our game from anywhere. Compared to 1998, this website and most wagering platforms are fast, clear and seamless. Our sport is now in your pocket. Technology will continue to improve. The question is, will we? The internet can fan the sparks into flames and open the window to our sport. Our job is to make sure Jody finds a great product, a good bet, and an enjoyable hobby. Twenty years ago, our sport was isolated. Today it is available to anyone. When you think about it, that difference is amazing.